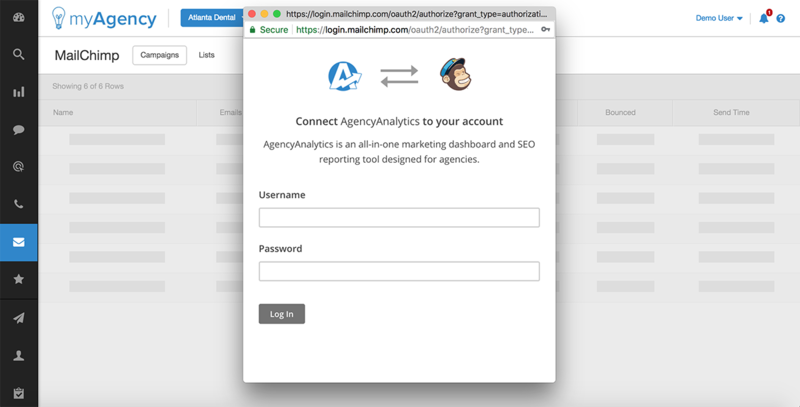 How to connect your Mailchimp account to your AgencyAnalytics dashboard. 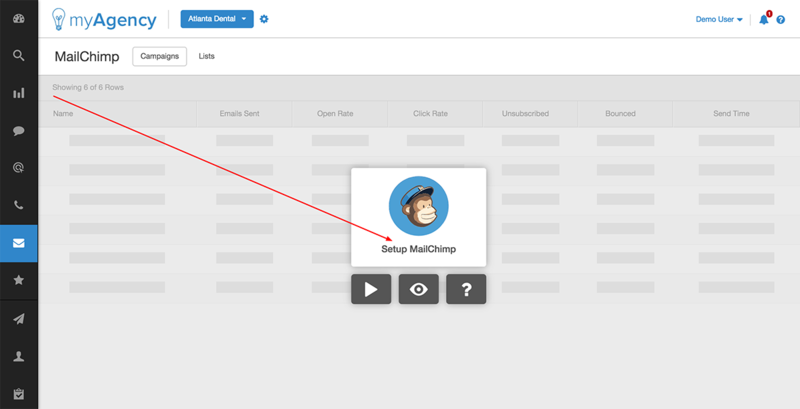 First, navigate to the home dashboard for the campaign where you'd like to connect the Mailchimp integration. Then, choose "Email --> Mailchimp" from the dark navigation bar on the left-hand side of your screen. Next, click the link in the middle of the screen that says "Setup Active Campaign". In the window that appears, enter the username and password for the Mailchimp account that contains the campaigns that you would like to connect. Then, click "Save". 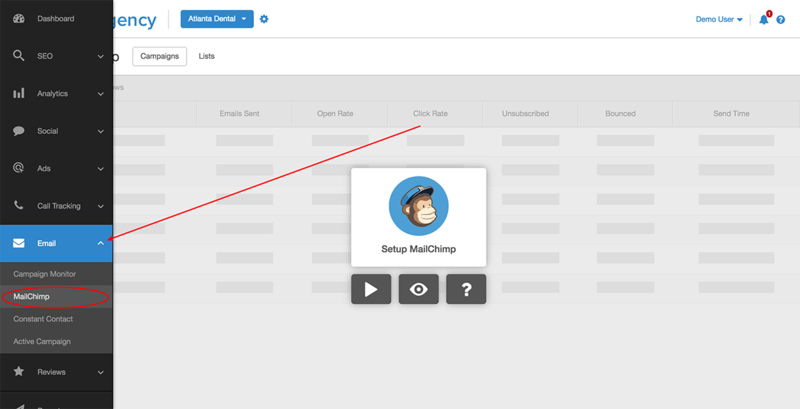 If you have multiple client Mailchimp accounts connected to your root Mailchimp account, you'll then be prompted to select the account to connect. Once you do so, the integration will then be complete, and your client's Mailchimp metrics will then be imported and displayed within the dashboard.